If you’re last pair of general work boots couldn’t quite keep up with you, we suggest you upgrade to high quality and outstanding durability with a pair of Chippewa Men’s 8 Inch Brown Waterproof Insulated 55068 Brown Boots. Offering 8 inches of leg protection ... (see full details) (see specifications) #CHP55068. If you’re last pair of general work boots couldn’t quite keep up with you, we suggest you upgrade to high quality and outstanding durability with a pair of Chippewa Men’s 8 Inch Brown Waterproof Insulated 55068 Brown Boots. Offering 8 inches of leg protection with waterproof aged bark leather uppers, Goodyear Welt construction, padded collars, and triple stitching, you're not going to find a more fitting pair of men's boots than this. These Chippewa Boots have a rugged appearance, which is about more than just looks since the waterproof boots stands up to pretty much any type of general work. If it starts to rain while you’re outside, not to worry. These water-resistant boots are completely prone to wet conditions, thanks to Chippewa’s Chip-A-Tex waterproofing material. The waterproof booties help keep outside moisture away from your feet, making your work days a little more pleasant. Steel shanks and rubber midsoles help you keep your balance, and they'll support you the whole day through. With non-tarnishable hooks and eyelets and heavy duty nylon laces, you'll be ready to go in no time once you put on this men's footwear. Rated as industrial quality, the high abrasion nylon lining in the men's boots are designed with Chippewa IQ Rubber outsoles, Goodyear welt construction, waterproof aged bark leather, and 400 grams of 3M Thinsulate Ultra insulation. What does this all mean? It means you’re getting a great pair of industrial quality insulated boots that can see you through some pretty tough times. It also means the're outfitted with some high-tech materials that keep feet cool in hot work conditions. Thinsulate is a renowned product for its insulation properties. This does not only mean Thinsulate keeps body parts warm, it also means it keeps body parts from becoming overheated, which is exactly what you want when you’re doing hard work in hot, strenuous environments. Shop Working Person’s Store when you invest in your next pair of general soft toe boots, such as the Chippewa Men’s 8 Inch Waterproof 55068 Insulated Leather Boots. You’re not only buying a great product, you’re investing in something even more important. You. Thank you, Eric. It has been a pleasure doing business with you and your company. I will bookmark your website and will be buying more from you in the future. I recommend people to your store all of the time. 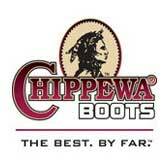 Chippewa Boots: Men's Brown 55068 Insulated Waterproof Boots is being added to your cart.